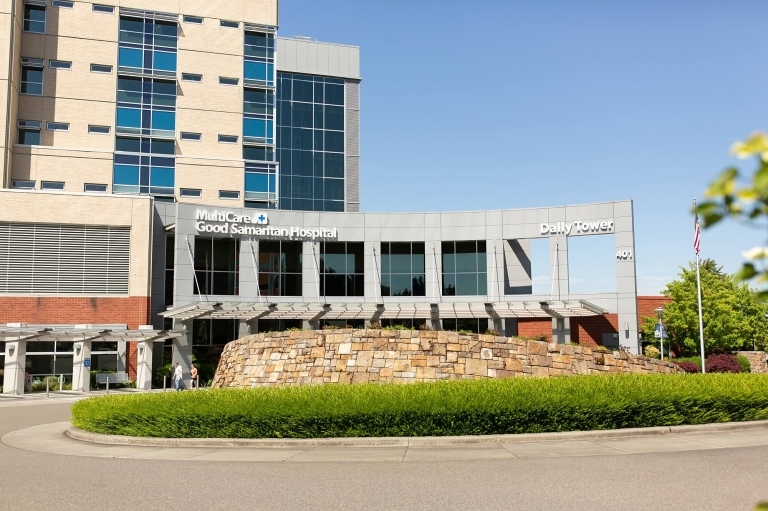 One of my greatest accomplishments as Puyallup Newborn Photographer is being chosen to display my work at the Good Samaritan Hospital Family Birth Center. When the opportunity to gift the department canvases was presented, there was no hesitation to say yes. It is such an honor for me and it makes me so happy to be able to do it! 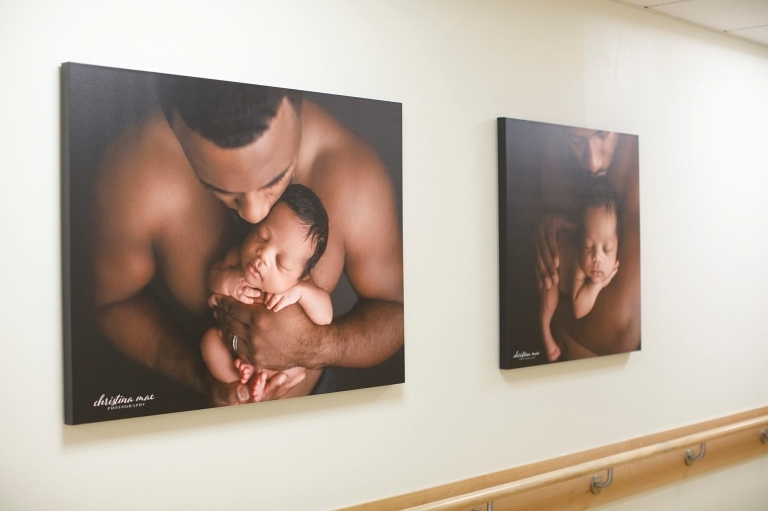 The entire process of getting the canvases hung up at Good Sam Hospital took about a year. I met with the Birth Center’s director in July of 2017 and from the moment we met, she was very excited for the new artwork! She was the main advocate in getting things approved and pushed forward to make it all happen. I couldn’t be more grateful for all of her hard work, along with the other facilitating staff. With so many hoops to jump through, we all made it happen! 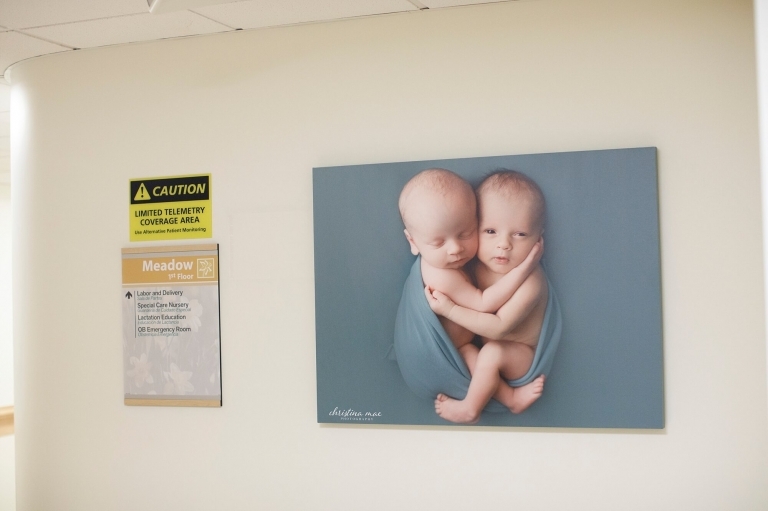 When we got the ball rolling on this project, I put together an online gallery of about 80 images and the nursing staff in the Birth Center voted on their favorites. I wanted to make sure that we included them in the process since they will be the ones walking the halls and seeing the canvases on a daily basis. It was great seeing their reaction to them printed and hanging up on the walls, as they were very excited for them! I’ve already had several clients and friends compliment the new art and it really makes me happy to know that so many people are enjoying them! From the mothers who are walking the halls through contractions, to the families who are there to visit their new family member – I feel very honored that they all adore them. And most of all – I’m so grateful for all of the families who gave me their blessing to use their little one’s photos for the canvases! This opportunity was such a blessing for me and I truly hope that they know just how much the images are loved and adored as the Good Samaritan Hospital Display.